Born in Haldensleben, Germany, Erhard Kaleta gained his veterinary education at the School of Veterinary Medicine at Hannover, Germany. His doctoral thesis was completed in 1966 on a histological topic in the Institute of Food Hygiene. Erhard started his research career in 1965 in the Institute of Poultry Diseases at the School of Veterinary Medicine Hannover. Main duties were initially post-mortem examinations of poultry, wild and pet birds, virus diagnosis and histopathology, and undergraduate teaching. 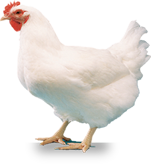 He became head of the diagnostic unit within the poultry institute in 1978. During 1970 to 1971 he was a visiting research scientist working with Dr. R. A. Bankowski at the University of California at Davis. In 1982 Erhard became full professor and director of the Institute for Poultry Diseases (renamed in 2002 to “Klinik für Vögel, Reptilien, Amphibien und Fische”) at the Veterinary Faculty of the Justus Liebig University in Giessen. 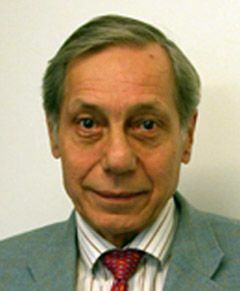 He retired formally in 2004, but continued as proxy director of the Institute until 2009. Under his guidance, more that 200 doctoral theses were completed and more than 300 papers were published in peer-reviewed and other veterinary journals. He edited and contributed to several textbooks on poultry diseases, pet birds and European wild birds. He worked predominantly on virus diseases, particularly herpesviruses of poultry, pet and wild birds. A large number of hitherto unknown viruses, including herpesviruses from black and white storks, owls, passerine and psittacine birds, were isolated and characterized. Another main body of work was focused on Newcastle disease virus and on avian paramyxovirus type 1 in pigeons. He has provided advice on avian diseases nationally and internationally, and was elected an Honorary Life Member of the Societas Veterinarium Serbiae Academia Medicinae Veterinariae in 1997. Erhard has been a member of the World Veterinary Poultry Association since 1965 and has served as its Secretary/Treasurer, subsequently as its President from 2001 to 2005, and is currently WVPA Honorary Life President. Erhard has been married since 1968, and has one son. He and his wife enjoy gardening, skiing, hiking in the nearby mountains, and going to concerts and theatres. He still reads the scientific literature and reads/corrects doctoral theses.